People have been building statues for as long as mankind has been roaming the earth. Prehistoric tribes started building them to honor their gods, a trend that was continued by ancient civilizations around the world. For instance, of the earliest recorded statues called ‘the Lion Man’ was built almost 32,000 years ago and measures only 30 cm from one end to another. More recent statues are substantially bigger in size, but also more complex and artistic. Here is a list of the ten most famous statues in the world still in existence. 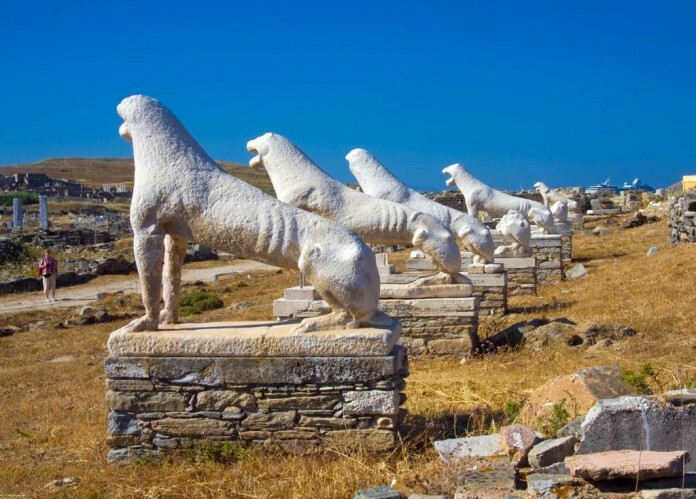 The Terrace of Lions is an important historical, archaeological, and mythological site in Greece. Delos was a holy sanctuary for an entire millennium. Greek mythology made it the birthplace of Apollo and Artemis. It was dedicated to Apollo by the people of Naxos just before 600 BC. Originally, there were 9 to 12 marble guardian lions along the Sacred Way, but only 5 survived. There are also fragments of 3 others. The original lions were moved to the Delos Museum in 1999.